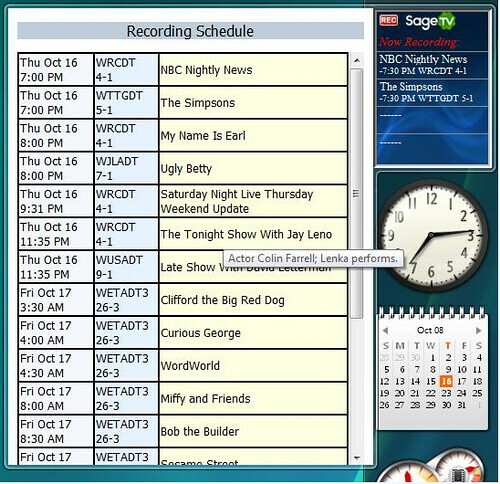 Not one to let Vista Media Center users have all the Vista fun, Craig (known as cncb on the SageTV forums) has created a Vista Sidebar gadget that displays current recordings with a “flyout” that shows the recording schedule. The SageTV Vista Sidebar Gadget can be run on any Vista PC networked with the Sage server. The SageTV Web Server is required to be installed.